Y.R.U Women’s Qozmo Qorq Shoe. The Y.R.U. Qozmo Qorq Shoe in Black and Gold Y.R.U.’s popular Qozmo shoe is back and this time it’s decked out in cork! The Qozmo Qorq shoe features a super high cork platform, a genuine leather and suede upper and metallic gold laces. 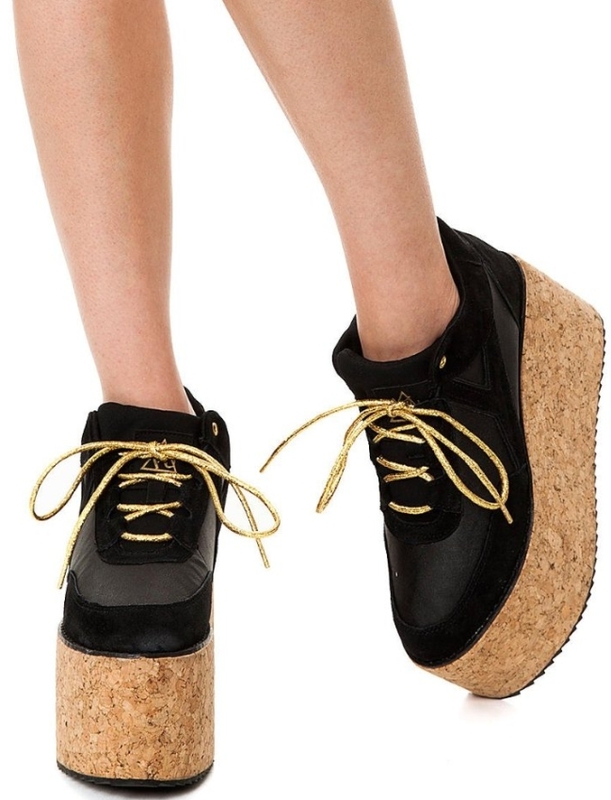 Platform Shoes Metallic Gold Laces 3.25x 4.5 Cork Platform Cleated Soles Imported By Y.R.U.